← The History of the Bridesmaid Through the Eyes of a Runner. Happy Sunday Runday all you readers out there! I know this is a late Sunday post but honestly I have just been lazy all day. It has been a weekend full of wonderful relaxation, good people, fun jaunts into the city, and a lot of the Lord’s love. Due to the holiday tomorrow, a late night on Friday, and a bit of a cold, I pushed my long run for the week to tomorrow morning, so even my exercise has been a bit lazy too! Zumba and a 2 mile run on Saturday and a leisurely 4.5 miles out today! Talking with my dad on the phone today, I was telling him about the 20 miler I hope to accomplish next weekend (which I just remembered I am visiting Hershey park on Saturday, so it may be on Friday) anyways… I was telling him about it and the number just rolled off my tongue: no fear, no worry, just the statement of the run I would be undertaking next weekend. 20 miles 4 months ago seemed COMPLETELY unprobable and impossible BUT with God’s strength, slow training, and patience with myself, it no longer seems like a big deal. 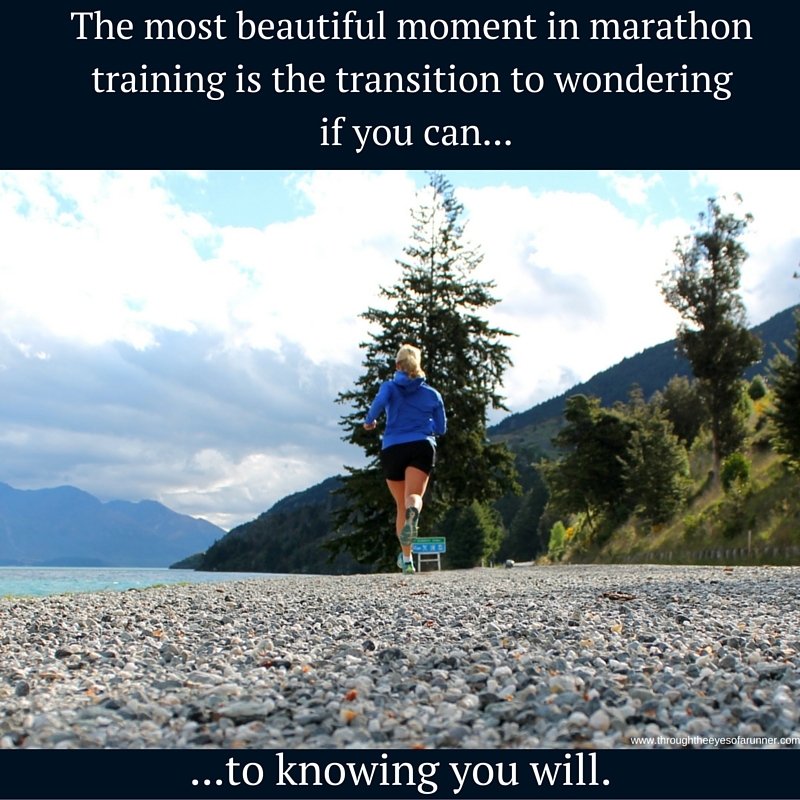 I had read a quote when I started marathon training, and today it hit me as truth. I no longer wonder if I will or if I can I know my body can and will. And that is so cool and awesome! Thank the Lord for no injuries, slow training, and his protection over this entire process!